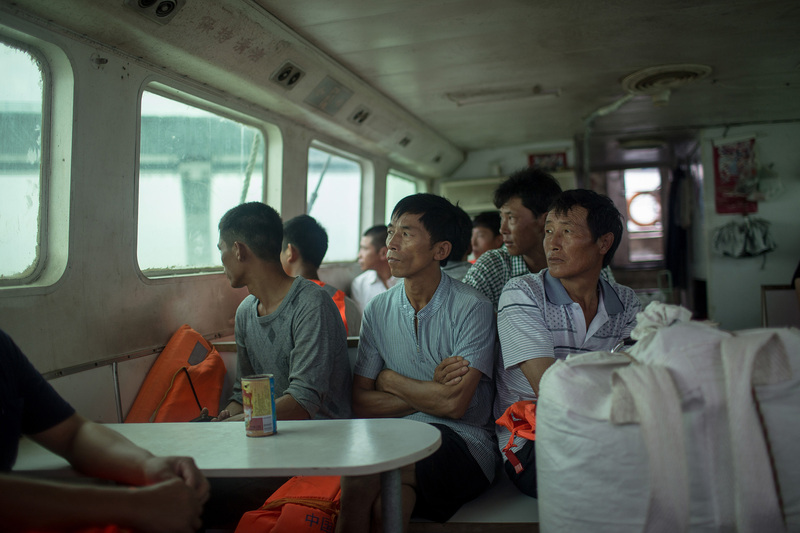 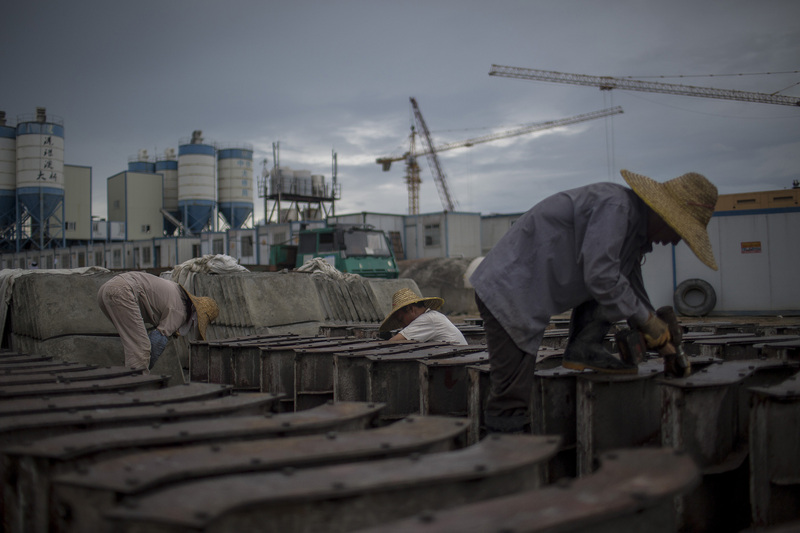 2015 《港珠澳大橋工人》 Construction workers of Hong Kong-Zhuhai-Macau Bridge 工人在前往人工島船上。 Workers sit in a ship from an artificial island. 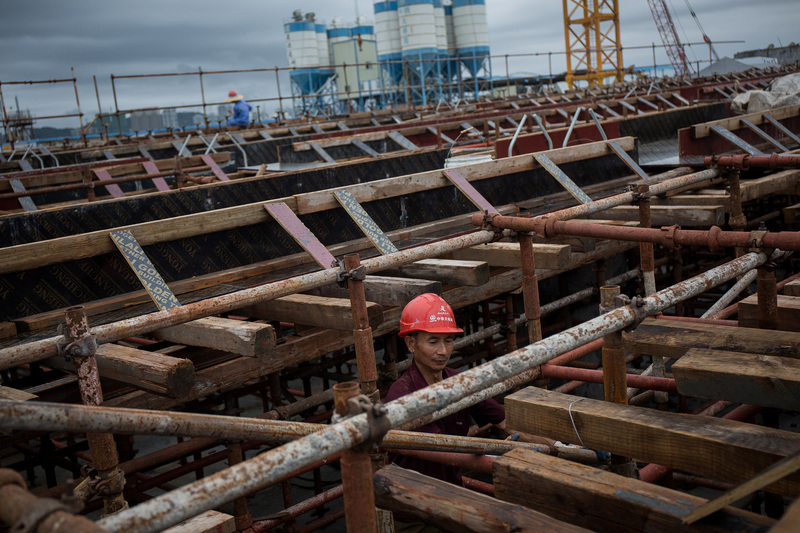 作業中的工人。 A worker at work at the construction site. 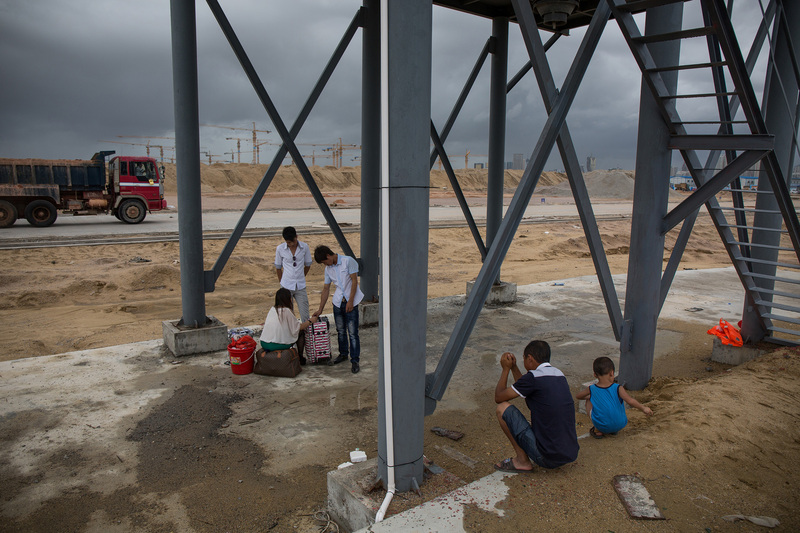 工人在人工島碼頭等船。 Workers wait for the ship at the pier of the artificial island. 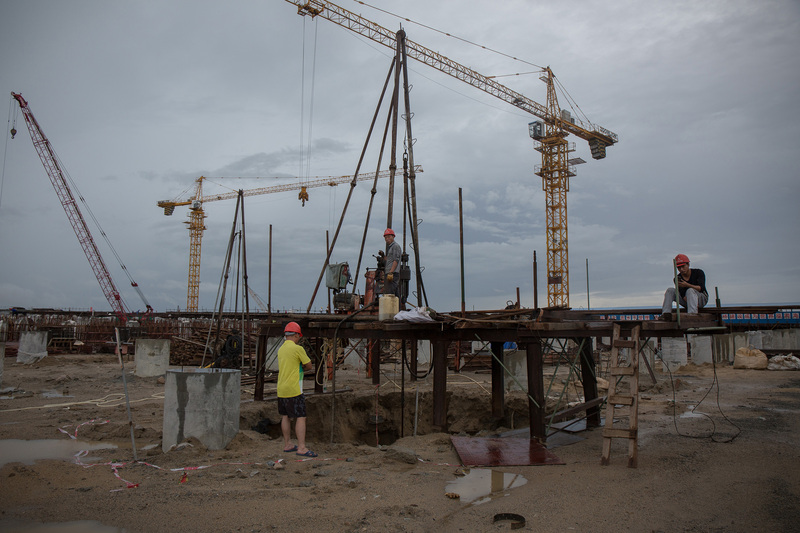 作業中的工人。 Workers with the straw hat work at the construction site. 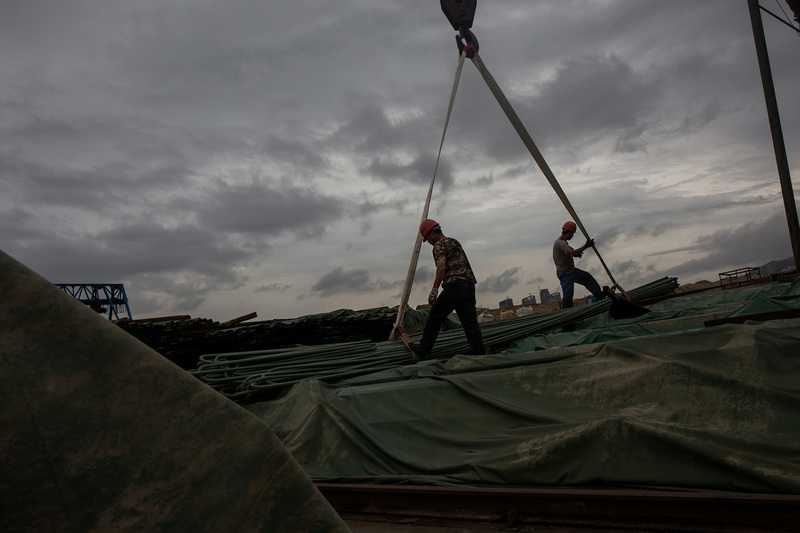 作業中的工人。 Workers at work in the construction site. 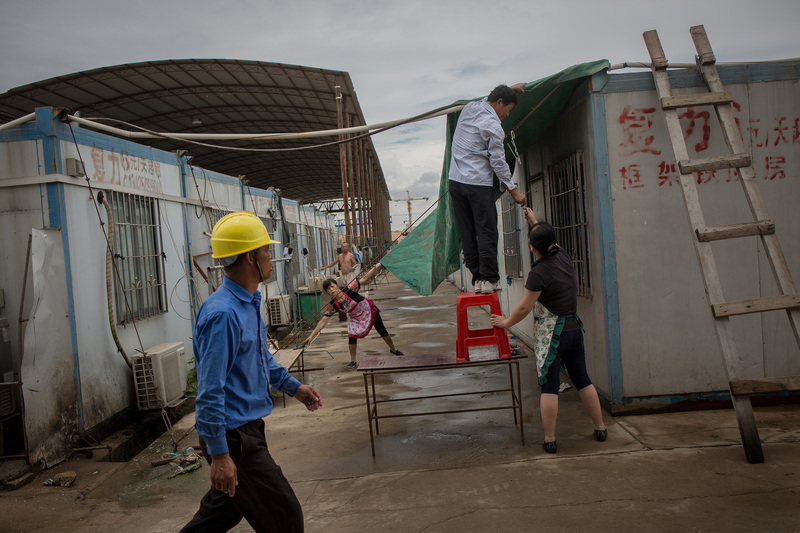 人工島上修整臨時宿舍的家庭。 A worker walks past as a family repair their temporary dorm on an artificial island. 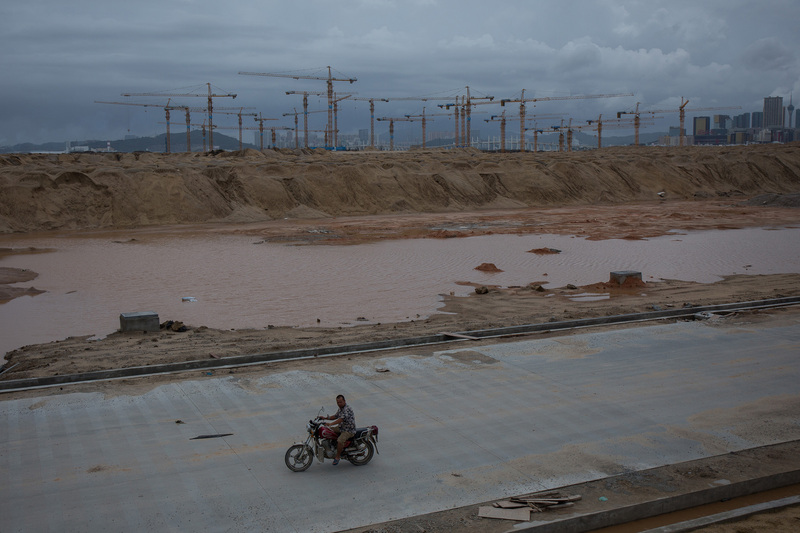 在人工島上踏單車。 A worker ride a bike on an artificial island. 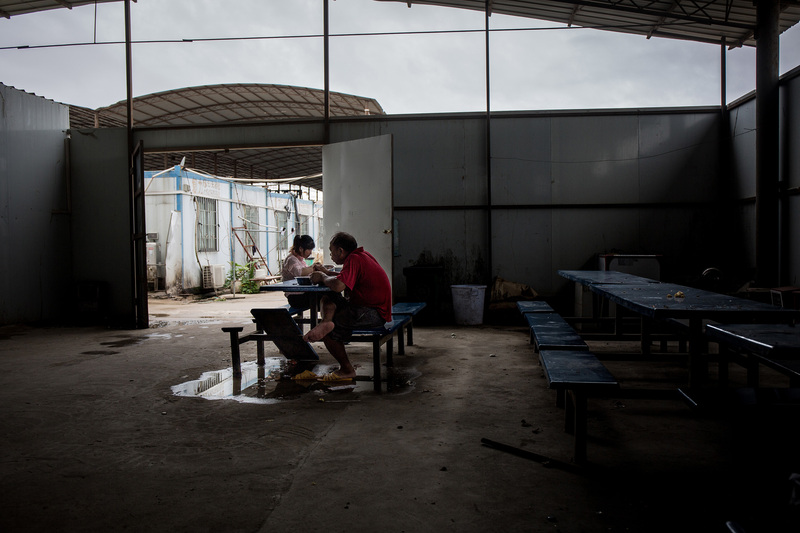 工人在人工島上午飯。 Workers take lunch in the canteen on an artificial island. 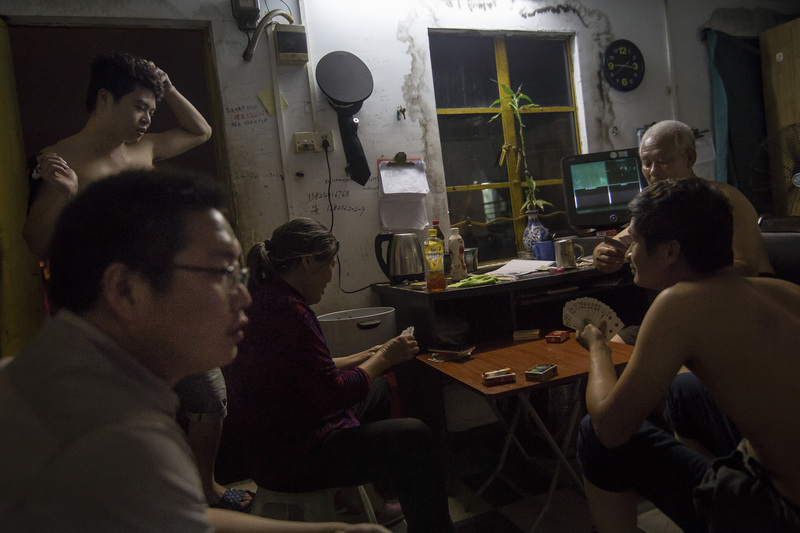 工人在珠海一個保安室玩牌。 Workers play cards in the security control room in ZhuHai. 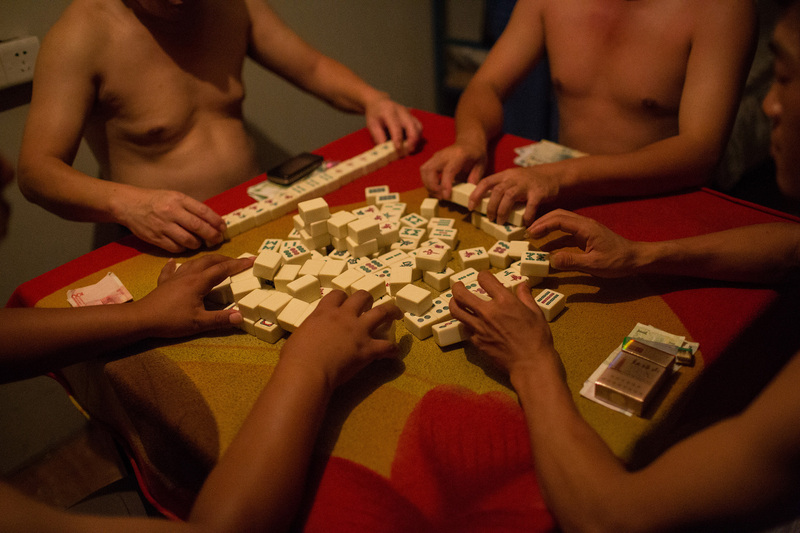 工人在珠海打麻將。 Workers play mahjong at the temporary dormitory in Zhuhai. 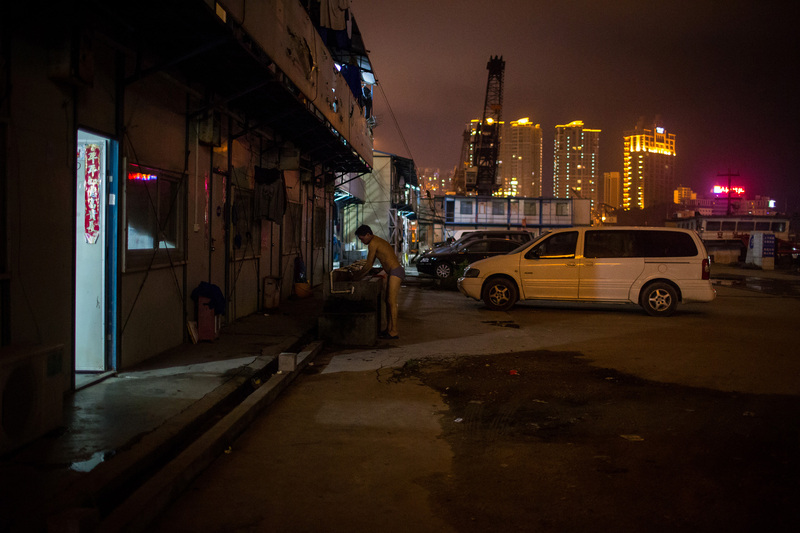 工人在珠海一個臨時宿舍洗衣。 A worker does laundry outside a temporary dormitory in Zhuhai.